Sweet tooth fans unite! The most delicious game with no sugar added. 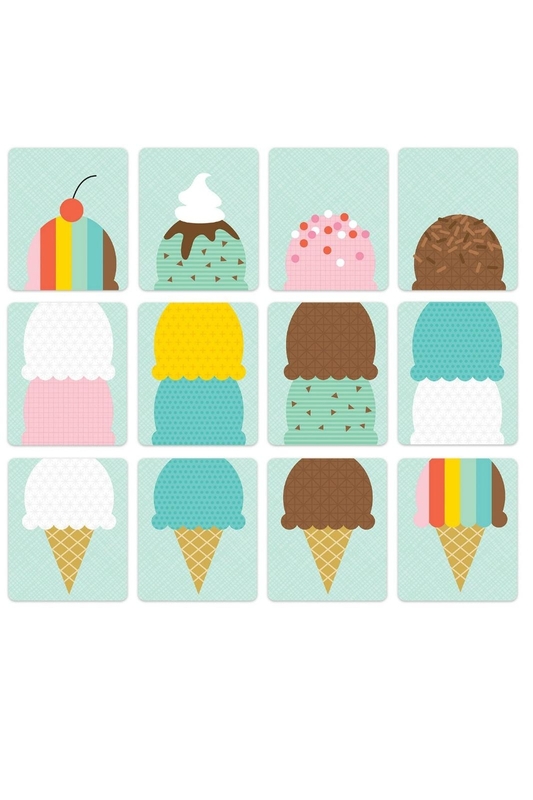 Stack ice cream cones and add sprinkles in this fun matching game. Gather the most ice cream scoops to win the game but don’t forget the sprinkles! 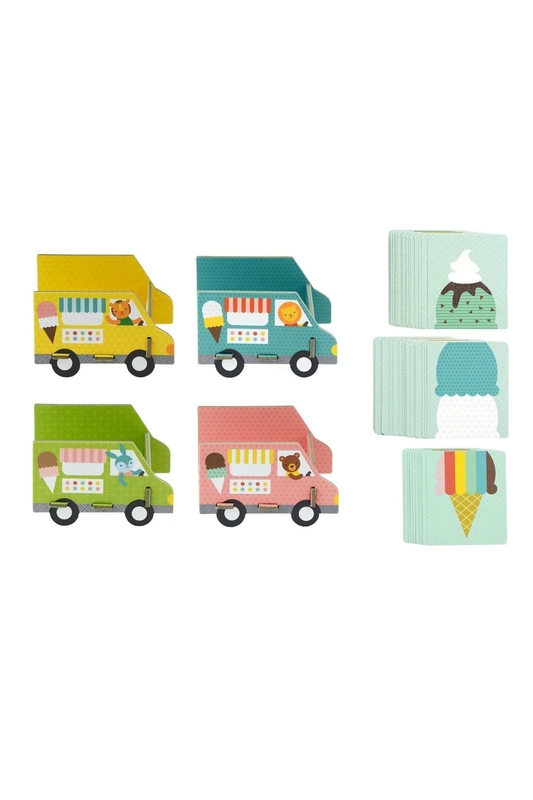 Includes 52 illustrated ice cream cards and four pop-out ice cream trucks. 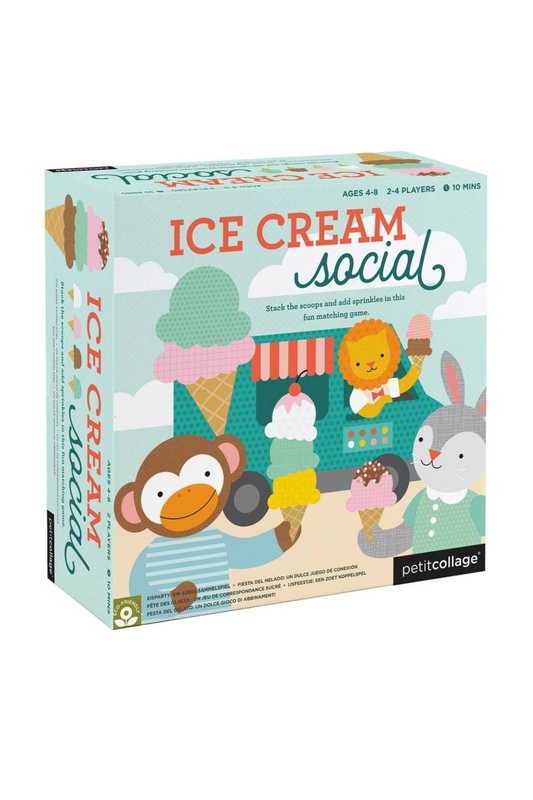 Perfect for 2 to 4 players ages 4 to 8+. 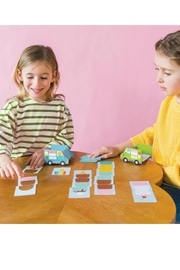 Average play time 10 minutes. Petit Collage games are made from recycled materials and printed with vegetable inks.